Two groups of MA students from Art Gallery and Museum Studies take over and create brand new interpretations in the Education Room. 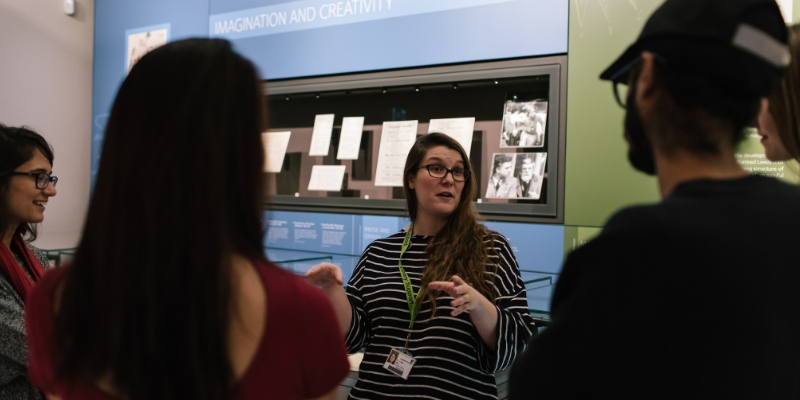 Two groups of student curators, from the MA Art Gallery and Museum Studies course at the University of Leeds, have worked with the University of Leeds' Art Collection to create two unique displays in the Education Room of the Gallery. Marie Hartley (1905-2006), artist, author, photographer and social historian, spent over 75 years documenting life in the Yorkshire Dales. Now Then showcases a selection of her artworks and books, all of which hold social, cultural and historical importance. Now Then... is a colloquial term used by the people of Yorkshire. Often used as a greeting, this phrase also captures the aim of the exhibition: bringing the past into the present. This exhibition showcases the work of Marie Hartley (1905-2006), a nationally recognised artist, author, photographer and social historian. 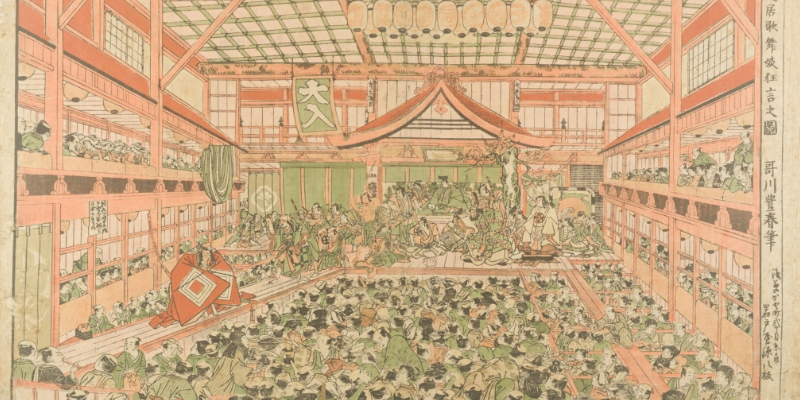 Her woodcut prints, drawings and photographs adorn the many publications that she wrote, in order to preserve an era of fading traditions for future generations to come. Born into a family of wool-merchants in Morley, Hartley attended Leeds College of Art in 1927. She then devoted 75 years to recording the impact of industrialisation on the Yorkshire Dales. Hartley created a unique body of work; some of which was gifted to the University of Leeds in 1999. Students and academics now use the collection for research and learning. Now Then demonstrates how Hartley's efforts play an important role in the education of our current society by drawing upon the events of the past. 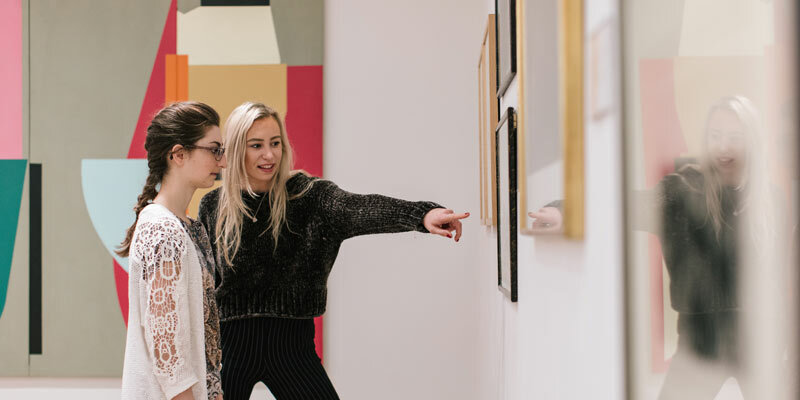 Curated by a group of students, currently studying MA Art Gallery and Museum Studies at the University of Leeds, Now Then features a selection of books authored by Hartley alongside artworks from the University's Art Collection. From the origins of characteristic Yorkshire creamware to the legacy of Yorkshire pottery today, immerse yourself in ceramic design. The story is told through a selection of Yorkshire Ceramics from the University of Leeds Art Collection. The fascinating evolution of the design of Yorkshire ceramics is on display at The Stanley & Audrey Burton Gallery. From culinary items to more decorative pieces, a range of design styles shows the influences of the East on Western tastes. The various styles chart the popularisation of Yorkshire pottery as it became available to the many rather than the wealthy few. 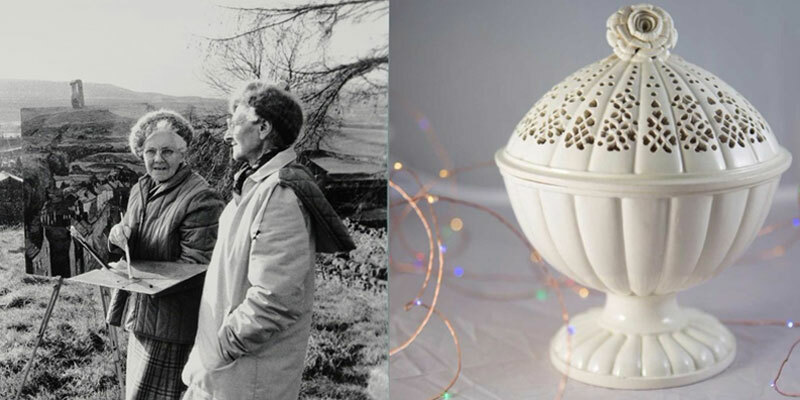 The exhibition also delves into the origins of Yorkshire creamware and celebrates the industry's continued existence today through an interview with the owner of Ingleton Pottery. Creamware is a traditionally English form of pottery. However, the influence of Eastern culture on Yorkshire potters is also evident in this exhibition. This merging of cultures shows that the Yorkshire community was keen to introduce fashionable exoticism into their homes. The emergence of capitalism greatly affected the ceramics industry. The increased demand for commodities and the rapid escalation of the population during the 19th century resulted in the mass production of domestic objects. Many of the items on display were common designs found in factory pattern books. Similar items can still be found in private homes today - visit the Gallery to see if you recognise any. The display also celebrates the survival of the local ceramics industry. Ingleton Pottery, a family-run business in the Yorkshire Dales, continues to design similar products for everyday use today. The existence of businesses such as this shows the sustained interest in keeping this industry alive in the Yorkshire region. This exhibition examines the commercial and social history of this region through the design of Yorkshire ceramics to highlight the industry's importance in the home life of Yorkshire families. The displays are open to the public from 4th December 2017 to 3rd March 2018 in the Stanley & Audrey Burton Gallery. Open Mondays, 1pm - 5pm; Tuesday - Saturday, 10am - 5pm. Admission is free.